So we can put the gender question to rest! Are these pics taken in natural (outdoor) lighting, such as near a window? 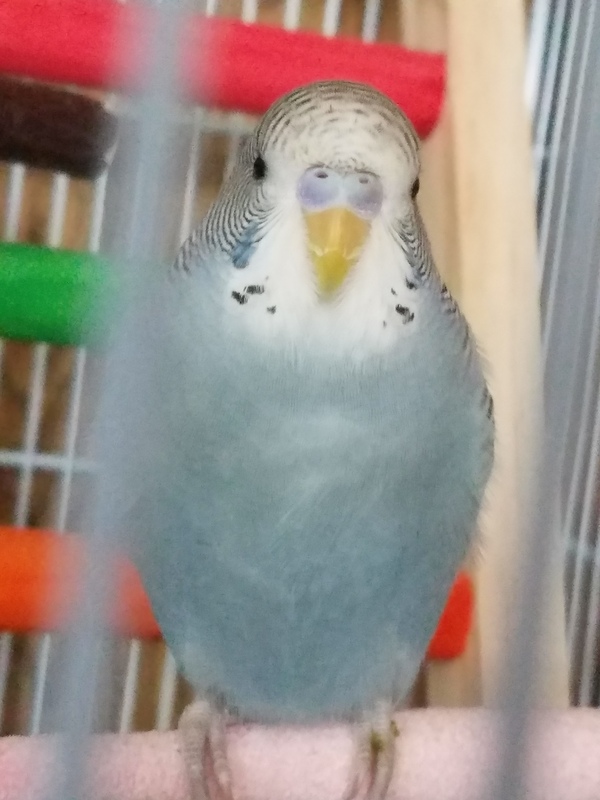 Is there is a good amount of “chalky white” area on the cere in person? Or is it only a little bit around the nostrils? It’s truly hard to tell by these photos. If the white area isn’t very pronounced, then you have a male. Yup, there were no lights on at the time of taking that picture, it's all natural sunlight, and that white area is fairly pronounced. That's why I was thinking they might be female, especially as they're quite young, but I'm really not sure and... 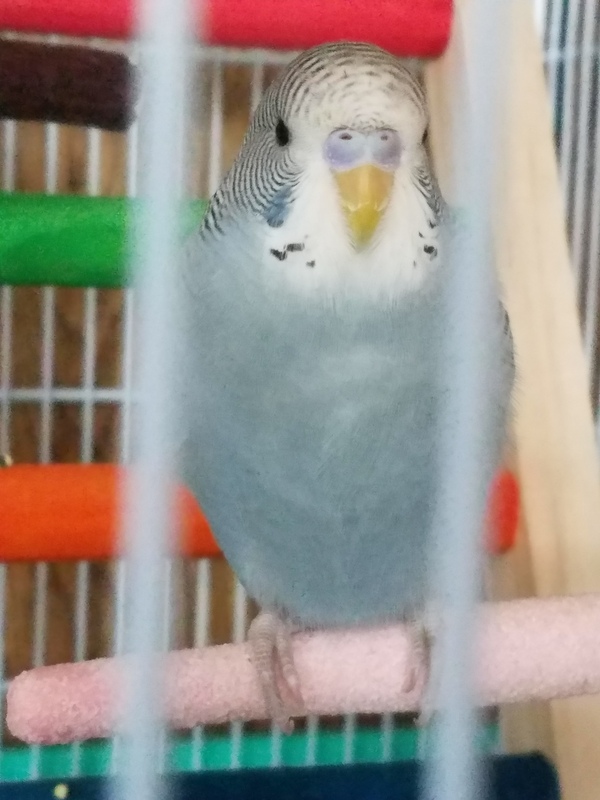 Being this is my first Budgie ever, I only have a rudimentary idea of how to gender them. Thank you for taking the time, I've been on the edge of my seat wondering. From the pictures, I still believe Techno is a female. Let's try some more pictures in this same thread in a week or so to be sure though. This one was so good it's my new avatar. It was from a couple days ago during their first big outing. This one was just today... The spiky bits on their head are new, from what I've looked up it's a sign they're molting? 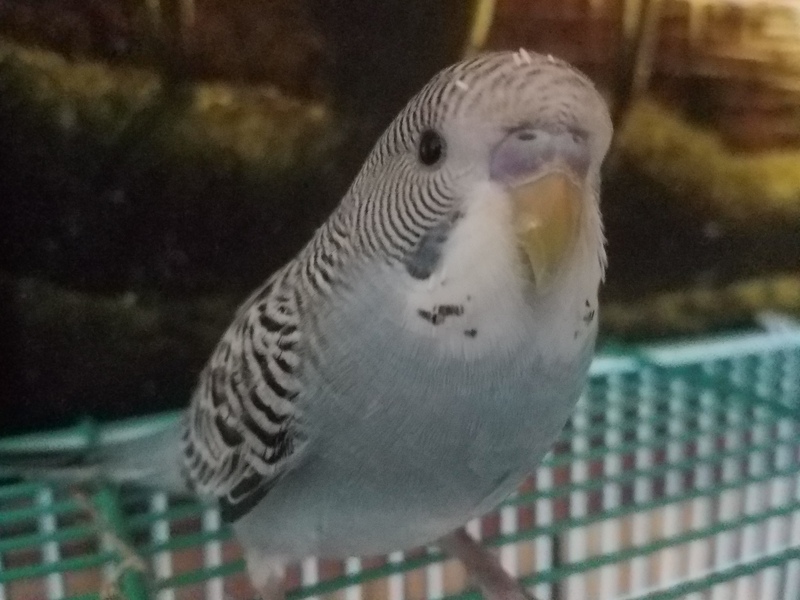 That'd explain a lot, I was worried as it seems like they're kind of low energy (Which, I was under the impression Budgies were quite high energy), but supposedly this is normal for Molting behavior? I'd love a second on that. But, yeah, hopefully these two help us zero in on their gender. Those little pin feathers on the head are a sign of molting and yes the energy level can be reduced during a molt. If it is a severe molt the energy may be greatly reduced and they can be pretty grumpy. During a molt they may benefit from additional protein, you can buy commercially prepared egg food or you can offer some hard boiled egg. Techno turned up good in his pics. Seems to look a bit gray, which is all right. Smart and healthy bird. Normally we don’t have such an issue determining gender. But every now and then, the cere color appears a little different from the usual young male or female. 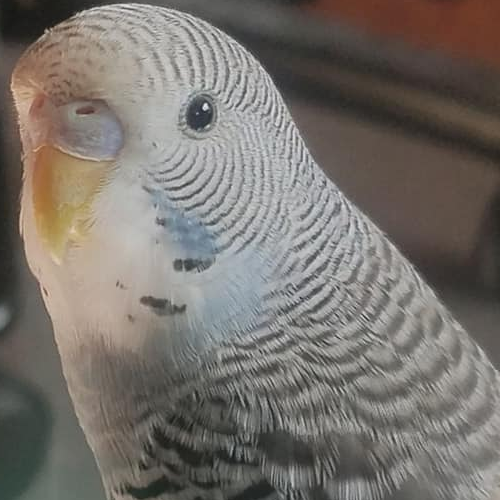 I’d be inclined to say female, BUT I almost hesitate, because if you saw my male at a young age, he also had an atypical cere with lots of white, but upon maturity it was clear he’s a male. Also, Techno’s cere isn’t as opaque and light as is “usually” seen on a young female. At around 8-12 months you will know for sure! Noted! Thank you all for the input! I'm really grateful for this forum, you've all been such a huge help!